You’ll find everything for a contemporary home at 8-year-old Camelion Design (5330 Ballard Ave. NW; 206.783.7125; cameliondesign.com). Owner Nicole Vandermeulen has a knack for displays, creating inspiring vignettes easy to visualize in your own home, and she and her crack team offer design services to make them a reality. A colorful spring store rejuvenation has added 200 square feet of showroom space. Digs (2002 NW Market St.; 206.457.5709; digsshowroom.com) is a mecca for modern-decor lovers. Bed linens from DwellStudio share shelf space with mid-century-style mod dishes from Dansk, and daily home necessities, ranging from a cheeky dental floss dispenser from Alessi to a jazzy pet food bowl by Jonathan Adler, help make life a little more stylish. Space Oddity Vintage Furniture Gallery (5318 22nd Ave. NW; 206.331.8054; Facebook, “Space Oddity Vintage Furniture Gallery”) is the coolest subterranean vintage furniture store in town, stocking an ever-changing inventory of industrial and mid-century pieces, mostly sourced and restored by owner Todd Werny. Keep an eye on Craigslist (search “space oddity”) for his new finds—they don’t stay in stock for long. The Re Store in Ballard closed its doors in June 2014 (there is still an outpost in Bellingham), but it was reopened three days later as Ballard Reuse (1440 NW 52nd St.; 206.297.9119; ballardreuse.com). Run by longtime employees Pat Finn Coven and Joel Blaschke, the cavernous warehouse remains a refuge for used building materials, furniture and home supplies with a lot of love left to give. Ballard Consignment (5459 Leary Ave. NW; 206.859.9956; ballardconsignment.com) occupies a serious chunk of real estate in old Ballard—its 30,000-square-foot shop spans an entire block between Leary Way and Ballard Avenue. Inside is a deal seeker’s dream, with a remarkable inventory of gently used furniture, art, rugs and kitchen accessories (even several racks of clothing) as well as a selection of new items consigned by other retailers. Culinary Essentials (5320 Ballard Ave. NW; 206.789.1334; culinaryessentials.com) started life as downtown Bellevue shop Mr. J Culinary Essentials in 1977 before moving to Old Ballard in 2013. Owner Debra Jaffe stocks the huge space with gifts for the home and tools for the serious cook, including hard-to-find classics such as Kilner canning supplies. Long before growing succulents became a hipster pursuit, Brandon Peterson of The Palm Room (5336 Ballard Ave. NW; 206.782.7256; thepalmroom.com) was potting them beautifully in his serene shop. With 14 years in retail, the knowledgeable Peterson offers friendly advice on what plant fits in what planter and where it will shine best in your home. You’re not likely to find a more strident devotee to the sofa than Couch’s (5423 Ballard Ave. NW; 206.633.6108; couchseattle.com) Ameer Radwan, who can help even the most design-challenged shoppers select the perfect couch for their space—from traditional to modern. Radwan is equally passionate about American manufacturing and has all of his sofas made in California out of high-quality materials. Loungers from this Ballard Avenue shop range from $900 for a chair to $9,500 for a large leather sectional, but you’ll have peace of mind knowing that the couch was tailor-made for your space. Two stylistically different wood furniture stores dominate the corner of First and Lenora streets. With its own mill in South Seattle, Urban Hardwoods (2101 First Ave.; 206.443.8099; urbanhardwoods.com) salvages wood—mostly from within 20 miles of Seattle—and upcycles it into one-of-a-kind tables, benches and desks with a modern edge. Neighbor northwest Woodworkers Gallery (2111 First Ave.; 206.625.0542; nwwoodgallery.com) features the studio furniture work of more than 20 skilled craftspeople. While this 35-year-old co-op gallery offers many different aesthetic directions to choose from, if Arts and Crafts style is your wont, you’re sure to find a winner here. Customize a rug to fit your room at Flor (2000 First Ave.; 206.448.3365; flor.com) for far less dough than you would expect. These easy-to-install square carpet tiles start at $8 and come in a multitude of colors, patterns and traffic levels. The best part? If one tile gets stained or damaged, all you have to do is peel it up and replace it. Every homeowner who has obsessed (or avoided) the conundrum of blinds versus drapery versus shades understands the importance of working with a confident, seasoned professional to navigate those dicey, intimidating waters. With 22 showrooms nationwide, The Shade Store (2004 First Ave.; 206.508.0263; theshadestore.com) has an almost 70-year track record of manufacturing and installing American-made window treatments, along with a staff of friendly experts on hand to explain the difference between a cornice and a valence. For 18 years, family-owned Chartreuse Modern (2609 First Ave.; 206.328.4844; chartreusemodern.com) has been the place to score new modern furnishings from hit lines that include Blu Dot and Kartell, and choice vintage picks from Arne Jacobsen and Eero Saarinen. Homestead (411 E Pine St.; 206.588.5519; homesteadseattle.com) husband-and-wife owners Ryan and Michele Tansey sell the kind of mid-century modern and Art Deco furnishings and antiques that they’d want in their own home at this newly opened show space on Pine Street. Although only open by appointment, Homestead’s stellar website means you can buy items—such as a gorgeous walnut highboy ($395)—anywhere at any time. For mid-century-modern design aficionados, furnishing their entire home is a snap at Area 51 (401 E Pine St.; 206.568.4782; area51seattle.com) where vintage and reproduction furniture shares the floor with a knockout selection of reclaimed wood pieces. Our pick: the Real Good Chair in copper ($299). After closing downtown’s Great Jones Home in 2014, designer Carrie Hayden has returned to retail with Hayden Collective (500 E Pike St., No. 100C; 206.448.9405; hayden-collective.com), a swanky showroom full of luxe furnishings with a glossy, 1970s vibe. We’re particularly digging the huge accents of geodes and crystals, minimalist angles and monochrome color palette. Head to Ragen & Associates (517 E Pike St.; 206.329.4737; ragenassociates.com) for a stellar selection of garden containers from Italy and Vietnam, including extra-large vessels—the biggest piece in the shop is 48 inches wide. Gardeners and landscape lovers could spend hours daydreaming among the gorgeous terra cotta landscape. Loft 63 (1205 E Pike St., No. 1F; 206.329.1716; loft63.com) may appear tiny from the street, but that’s by design. 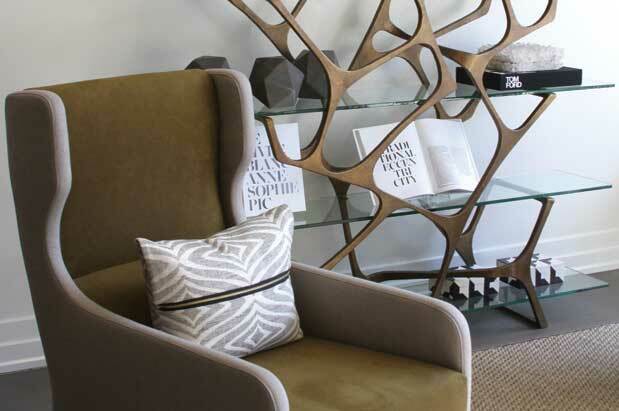 This Capitol Hill showroom is a one-stop shop for modern and contemporary furniture lovers who live in small spaces. In addition, find locally handcrafted home decor handpicked by owner Scott Darlage, including soy candles from Olympia and etched coffee mugs from Portland. The home decor section at Melrose Market’s Glasswing (1525 Melrose Ave.; 206.641.7646; glasswingshop.com) might be small, but it’s mighty cool, with a wide array of ceramics, glassware, air plants and items from Brackish, an industrial furniture collaboration between Glasswing co-owner Forest Eckley and his friend Andy Whitcomb. Inspired by his father’s Indonesian antique collection, Tirto (1908 E Mercer St.; 206.322.0597; tirtofurniture.com) owner Chris Tirtoprodjo combines the look of traditional teak furniture with modern Dutch influences. Here, you’ll find earthy pieces to outfit every corner of your home, all produced in Tirtoprodjo's family workshop in Blitar, Java, Indonesia. Retrofit Home (1103 E Pike St.; 206.568.4663; retrofithome.com) spreads its sunny gospel of quirky contemporary decor, including custom-upholstered sofas, eclectic cowhide rugs ($499) and shelves stocked with reliably colorful and life-enhancing gifts—all with a sense of humor. Tucked high in the rafters above Melrose Market is hidden gem, Butter Home (1531 Melrose Ave., C2; 206.623.2626; butterhomeseattle.com). Find the work of more than 15 local designers, which fit its simple yet homespun aesthetic, but the real callout is one-of-a-kind pulley lamps created by owner Claire Corley and her husband, with more than 400 pulleys in stock to choose from. For Art-Object, the home division of the minimalist men’s and women’s clothing shop Totokaelo (1523 10th Ave.; 206.623.3582; totokaelo.com), owner Jill Wenger and team curate an impressive collection of practical and decorative items for the home, including new sculptures from local artist Debra Baxter, delicately hand-dyed textiles from Brooklyn-based Shabd, Japanese towels of all sizes, and powder-coated steel and wood stools from local superstars Iacoli & McAllister. From the artisans featured to the materials sourced, Erick and Apryl Waldman’s Plank & Grain (666 S King St.; 206.659.9884; plankandgrain.com) has quickly become a true locavore destination, with rotatiing works by regional artists, laser-cut wood coasters from Five Ply Design and the couple’s own Plank & Grain furniture brand, which is crafted from reclaimed Douglas fir. Airy and light, Rob Whitson’s Plus 45 Design (513 S Main St.; 206.971.4580; plus45design.com) celebrates the minimalistic nuances of northern European design with dynamic barware from Iittala, beautifully crafted cutting boards and flatware, plus a small, curated selection of sleek furniture. Tucked amidst the myriad Asian groceries, gifts and gadgets in Uwajimaya’s (600 Fifth Ave. S; 206.624.6248; uwajimaya.com) 35,000-square-foot flagship store is an astounding and affordable selection (plenty for less than $5/piece) of bamboo serving utensils, ceramic bowls, plus delicate teacups, quirky mugs and sake sets galore. Designer Timothy De Clue (1307 First Ave.; 206.762.0307; timothydeclue.com) relocated his shop from Georgetown to downtown this year and renamed it timothy de clue collection, expanding both his square footage and foot traffic. De Clue has a penchant for the natural world, so shoppers can expect pewter and shell sea creatures, ostrich eggs, nicely framed vintage reproduction scientific illustrations, and a lovely selection of pillows and upholstered furniture. Ted Kennedy Watson is the male Martha Stewart—everything he touches ends up looking beautiful. His two shops, Watson Kennedy Fine Home (downtown, 1022 First Ave.; 206.652.8350; watsonkennedy.com) and Fine Living (Pike Place, 86 Pine St.; 206.443.6281), are stocked to the gills with exquisite goods for home and body from around the globe, ranging from illustrations by Hugo Guinness ($425–$1,100) to John Derian decoupage trays (from $55), and a large selection of cloth napkins and linens (at Fine Home only). Ten-year-old, locally owned Alchemy Collections (2029 Second Ave.; 206.448.3309; alchemycollections.com) is a downtown shop with a modern design bent, and while there is something there for every size of home, the shop has a special focus on small-space living. French brand Roche Bobois (1922 Fourth Ave.; 206.332.9744; roche-bobois.com) was a pioneer in introducing Scandinavian furniture to the rest of Europe in the 1950s, and it continues to wow the world with inventive yet sophisticated furniture and home accessories. More than just a museum gift shop, the SAM Shop (1300 First Ave.; 206.654.3120; seattleartmuseum.org) is a go-to spot for home decor accents, including papier-mâché lampshades by Greenwood’s Jil Smith and colorful ceramics by North Seattle’s Kri Kri. Rug merchant Driscoll Robbins (997 Western Ave.; 206.292.1115; driscollrobbins.com) has been selling gorgeous rugs of impeccable quality and various styles (from modern to traditional) for 18 years. A move in 2012 to a larger showroom down on Western Avenue brought with it a new collection of rugs, designed in house and made in Nepal, to add to the shop’s already stellar inventory of handpicked, heirloom-quality stock. The venerable Masins (10708 Main St.; 425.450.9999; masins.com) has been revered since 1927 for its excellent customer service, knowledgeable staff and large furniture selection, including American classics Baker and Stickley. If your tastes tend toward the eclectic—a touch of glam, a smidge of retro, a sprinkling of leather, wood, lacquered trays and gilded Greek key motif throw pillows—The Standard (10697 Main St., Suite 3; 425.467.1164; thestandardinbellevue.com) is your kind of place. Owner Jennifer Colley keeps high style in constant rotation in this downtown Bellevue bastion of home decor. Playing hostess? It’s Hedge & Vine (10028 Main St.; 425.451.7872; hedgeandvine.com) to the rescue with pewter-trimmed china, crystal martini glasses, plus an impressive selection of cookbooks, fine wine and delectable nibbles for a perfect evening in. The vibe is coastal living meets Tuscany. Classic with a modernist edge, Veritables (10220 Main St.; 425.455.8335; veritablesdecor.com) is powered by owner Marie Harris’ golden touch: beautifully upholstered chairs, richly hued decorative urns and rustic-chic farmhouse dining tables. Home to 25 dealers, Debbie Nordstrom’s Haystack Antiques (144 105th Ave. NE; 425.455.1515; haystackantiques.com) is a hub for antique aficionados. On any given day, shoppers are likely to find a well-curated inventory from her vendors, including oversize French country armoires, industrial stools, vintage fashion illustrations, retro signs and other quirky finds. BoConcept (Bellevue Place, 10400 NE Eighth St., 425.732.3333; boconcept.com) carries Scandinavian brands that have been defining Danish design since the middle of the last century. As a mother of five, Tina Oiness believes in livable, approachable decor, a philosophy that comes to life at Ivy Gift & Home (141 Park Lane; 425.739.6133; ivygiftandhome.com). From the pretty (Kate Spade office supplies and decorative porcelain artichokes) to the practical (a cozy, leather-trimmed sling-back chair), this year-old shop brings a homey vibe to the neighborhood. Terra Bella (2864 77th Ave. SE; 425.818.2285; terrabellagifts.com) is the island’s go-to gift shop, featuring both a gift section and the ultimate cook’s nook, Terra Bella Cooks, filled with primo Le Creuset bakeware, colorful oven timers, plus Italian hand towels, napkins and even specialty food provisions. Word has it that this shop is moving to the bottom of the Island Square apartment complex this summer. Interior designer and island native Carly Michele brings chic home goods to Mercer Island’s small retail core with C. Michele Interior Lifestyles (7605 SE 27th St., Suite 102; 206.453.4771; cmichele.com). The shop’s cosmopolitan vibe is defined by swanky zinc and brass trays and petite appetizer plates, bold polka dot tea towels and a large selection of fragrant Lafco candles. There’s always something special to be found at Z Gallerie (Redmond Town Center; 425.497.9302; zgallerie.com), from a stunning sequoia console table ($999), carefully cast from the root bulb of an acacia tree and then gold-leafed, to a humble brass votive holder for less than $5. It’s an ace in the hole for decor lovers who are looking for attention-getting statement pieces. With an especially good selection of Ralph Lauren lifestyle goods and romantic lighting, Henredon & Schoener (700 Bellevue Way NE, Suite 220; 425.454.9000; henredonschoener.com) is a glimpse of classic English manor meets Mad Men den, resplendent in rich leather and ornate trimmings. The unofficial decorator of Woodinville, Lisa Purdy (and shop dog Lola) warmly welcomes guests to Rosa Mundi’s Antiques & Interiors (14525 148th Ave. NE, Suite 122; 425.806.1732; rosamundis.com) with English rose wine glasses, ornate tea sets and other antique china sets that set collectors’ hearts aflame. The Ten22Home (4258 Fremont Ave. N; 206.457.5728; Facebook, “Ten22home”) faithful are on a first-name basis with owner Justin Ferguson and rave about the pristine condition of his vintage finds. Ferguson specializes in mid-century modern, especially Danish, and sleek European furniture; his pieces are not only beautifully rehabbed, but boast designer cred (think: Charles Eames and Hans Wegner) to boot. It’s easy to be swept up in Kirk Albert’s (5517 Airport Way S; 206.762.3899; kirkalbert.com) world of visually striking large-scale conversation pieces. You’ll leave wishing you had the space at home for all of the shop’s grandiose statement makers, including, but not limited to, a pair of 1920s amusement park funhouse mirrors ($6,800) or an industrial two-part mannequin mold ($1,250). You’ll find Rosanna tableware in just about every major gift store in the country, but only in Seattle will you find the Rosanna Outlet (6755 E Marginal Way S; 877.343.3779; rosannainc.com). It’s the perfect place to splurge on a smattering of discontinued and overstock tableware priced $5–$35, mixed with one-of-a-kind pieces marked as much as 50 percent off. Open every Friday from noon to 4 p.m. If walking into District (5527 Airport Way S; 206.795.9294; districtllc.com) feels like walking into the prop room for a classic Hollywood movie, then owner Mike McConnell is happy. A one-armed bandit, World War II test bombs, a classic, well-loved leather wingback: These are just a few of the pieces you may come across here. Take advantage of the shop’s monthly live auctions and items brought in by other vendors—you never know what you may score. Owner Kassie Keith scours the country for an assortment of pharmaceutical, industrial and educational antiques and oddities that fill her eponymous spot (5951 Airport Way S; 206.420.3158; kassiekeith.com) at the south end of Georgetown. You’re just as likely to find an antique carved wooden test tube stand as you are a medical model of a baby in utero. If you’re searching for something specific, say, old railroad maps, or perhaps medical or dental cabinets, just ask—you never know what her huge inventory holds. She keeps a workshop for back stock, a space at Pacific Galleries in SoDo and a space at Haystack antiques in Bellevue. Head to Ludlow Co. (7315 Greenwood Ave. N; 206.429.5081; ludlowco.com) for a reliably well-curated selection of unique vintage pieces with a wonderfully masculine, Americana bent. Over the next few months, owner James Peeken promises an increased inventory of regionally made goods such as custom furniture and slick Bluetooth speakers from Workbench Designs and pillows in mid-century-modern-inspired textiles by Claudia Haon. With more than 10,000 square feet of warehouse space filled with stylish, gently used, high-end consigned furniture and accessories, Bell’Occhio Home (1435 Elliott Ave. W; 206.323.8833; bellocchiohome.com) is a required stop when decorating a distinctive home. Recent gems include a swanky pair of vintage mirrored screens ($1,200 for the pair), a classic secretary from Baker ($1,795) and a hand-carved writing desk for $4,100. It’s all about the thrill of the hunt at Consign Design (1630 15th Ave. W, 206.345.0009; and Tukwila, 16830 Southcenter Pkwy., 253.981.4840; consigndesign.us), where an eclectic range of home decor, from traditional to modern, greets shoppers looking for a killer deal on pre-loved goods. As with all consignment and antique shops, inventory is constantly changing, so check its website for the most up-to-date information. Susan Wheeler Home (5515 Airport Way S; 360.402.5080; susanwheelerhome.com) is masterful mix of chic, antique furnishings. An 18th-century wooden Italian Madonna sits next to a sleek 1960s sectional sofa reupholstered in charcoal linen, crowned with a French chandelier dripping with crystals. Also find an astounding collection of English transferware and vintage jewelry. Her most recent claim to fame: a zebra bench purchased by Ivanka Trump spotted in the pages of Vogue. The range of home goods at adorable Madison Park shop Guesthouse (4110 E Madison St.; 206.462.1351; guesthouseseattle.com) are luxe and modern, ranging from small European furniture pieces, custom-made pillows, and captivating black-and-white photographs ($145) taken in France by local artist by Harriet McNamara. Clean lines mixed with a hearty dose of tony gilded and lacquered pieces define the sophisticated Maison Luxe (2806 E Madison St.; 206.405.2828; maisonluxe.net). Owner and interior designer Kelie Grosso is a dedicated world traveler whose global finds and vintage scores are inspiration for domestic decorating. Twelve-year-old Red Ticking (2802 E Madison St.; 206.322.9890; redticking.com) is like a French flea market in the heart of Madison Valley. Owner Pamela Robinson’s eye for patina is evident in her wide selection of antiques and the vintage fabrics from around the globe that she hand sews into custom pillows. 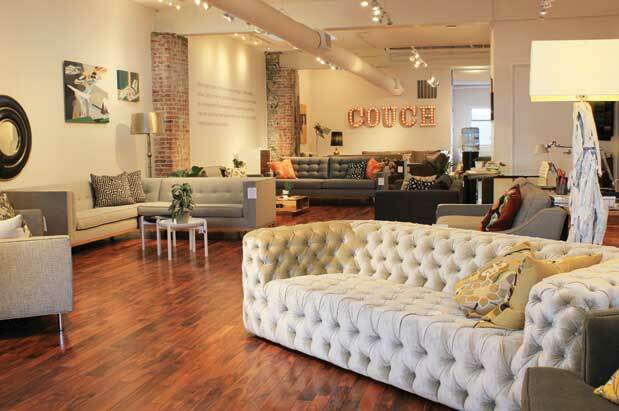 With nearly 30 years of business under its belt, Kasala (three locations, including the Pike Place Hilllclimb, 1505 Western Ave.; 206.623.7795; kasala.com) has long been on the forefront of sleek—and affordable—Italian-style furniture. Think streamlined sectionals (from $1,650), platform beds (from $895), and tables and chairs in chrome, glass and leather. While the store has many sales throughout the year, find steals and deals at its SoDo outlet (1946 Occidental Ave. S; 206.340.4112) all year long. A lot has changed for kitchen shop Sur La Table (84 Pine St.; 206.448.2244; surlatable.com) since Shirley Collins opened it in Pike Place Market in 1972. Once a small, one-woman operation, the company now boasts more than 100 stores throughout the country (three in Washington state) and is recognized as the second-most-popular name in kitchen goods, after Williams-Sonoma. It remains a reliable source for every culinary need—from a sous vide immersion circulator ($199) to a set of stainless steel, fluted biscuit cutters ($14.95). The eclectic and cheerful gift and home accessories shop Calisea (87 Yesler Way; 206.538.0191; calisea.com), once online only, is now a brick-and-mortar shop, too, having quietly opened in December 2014. Expect a delightful mix of beautiful and functional items—think terrariums and cards and notebooks from Rifle Paper Co.—all with a sense of humor. American pottery gets top billing at Laguna Vintage Pottery (116 S Washington St.; 206.682.6162; lagunapottery.com), where the shelves are filled to the rafters with pieces by Eva Zeisel, Russel Wright and Heath Ceramics. If it’s old, cool and quirky, it has a place at Assemblage’ (210 S Washington St.; 206.683.8783; Facebook, “Assemblage Antiques”), where it’s not at all unusual to find a chair made of vintage beer cans sitting next to a piece of African art, a brutalist sculpture or a pair of antique French planters with a 100 years’ worth of patina. There aren’t many places in town that enthusiastically tout their selection of beaver skulls, framed hanging bats or taxidermy polecats, but if oddities are your jam, then The Belfry (309-A Third Ave. S; 206.682.2951; thebelfryoddities.com) is your little slice of heaven. A stalwart presence in Pioneer Square since 1917, Seattle Lighting (multiple locations, including 222 Second Ave., Ext. S; 206.622.4736; seattlelighting.com) offers a huge selection of lighting options, as well as in-home design services and Lighting Labs in each showroom to illustrate cutting-edge illumination techniques. Marine Area 7 (2814 E Madison St.; 206.323.9141; marinearea7.com) owner and well-known local photographer Jim Henkens stocks his new Madison Valley kitchen shop with worldly finds that reflect his artful eye. 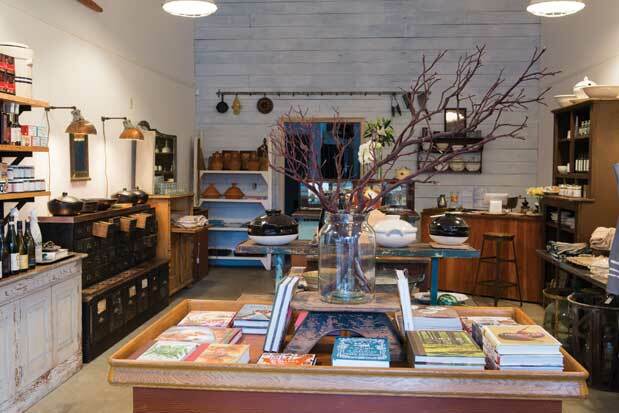 Opened in December 2014, the shop, named after the waters surrounding the San Juan Islands, sells a collection of unique and carefully chosen new and vintage scores, such as the Portland-made Finex cast iron skillet ($275), Edward Wohl cutting boards ($45–$250), as well as copper pans from France, tagines from Morocco, Japanese clay rice cookers, gourmet food items and cookbooks. Pioneer Square is experiencing a retail boom. Set aside an afternoon and meander Seattle’s oldest streets while checking out her newest shops: A bodega for the modern age, Cone & Steiner (135 S King St., 206.402.3682; and Capitol Hill, 532 19th Ave. E, 206.582.1928; coneandsteiner.com) carries a small selection of home goods, including thermoses from Stanley and cement house numbers. Also, a full-service florist, Fleurt (112 S Washington St., 206.420.4946; and West Seattle, 4536 California Ave. SW, 206.937.1103; fleurtseattle.com) carries stylish gifts for home and body. Inspired by the neighborhood’s history, E. Smith Mercantile (208 First Ave. S; 206.641.7250; esmithmercantile.com) does old timey for a new age, with gourmet pantry items, planters for succulents, barware, wool surplus blankets and other goods for fine living. Grab a coveted seat at its back bar and enjoy a cocktail or two after you shop. More fabric store than home store, Drygoods Design (301 Occidental Ave. S; 206.535.6950; drygoodsdesignonline.com) should be on your radar if your craft room is one of the most important spaces in your house. Fabric by the yard, sewing notions, classes, cards and small gift items make this shop an essential stop while in the nabe. Celebrating 11 years on the hill this year, Stuhlbergs jewel-box boutique (1801 Queen Anne Ave. N; 206.352.2351; stuhlbergs.com) continues to delight with all things swish: mouth-blown glassware from the Czech Republic line Juliska, fine linens from Turkey and pewter serving dishes fit for teatime treats. GR Home (4520 Union Bay Place NE; 206.523.1882; gr-homeseattle.com) is the retail extension of Graciela Rutkowski’s interior design empire. The shop reflects her casually elegant and classic style infused with colorful high-gloss finishes, Lucite, lacquer, geometric-patterned accessories, hobnailed accents and custom-upholstered furniture. Tucked primly away just north of University Village, Gracious (2920 NE Blakeley St.; 206.525.5300; gracioush2h.com) is a gem of a spot filled with unique and interesting vintage and refurbished home decor—eclectic, but with a slight nod to mid-century modern and Hollywood regency style, much of it catered to a smaller footprint, ideal for the scale of many classic Seattle homes. Opened in Portland in 1977 and acquired by Williams-Sonoma in 2011, Rejuvenation (2910 First Ave. S; 206.382.1901; rejuvenation.com) retains its old-school charm with an impressive selection of reproduction and restored vintage lighting fixtures, hardware and furniture from bygone eras. With more than 200 dealers, it’s hard not to find something covetable at Pacific Galleries (241 S Lander St.; 206.292.3999; pacgal.com). Dealers update their spaces weekly, stocking them with vintage, antique and repurposed goods ranging from industrial signage to Victorian taxidermy. For more than 20 years, Second Use (3223 Sixth Ave. S; 206.763.6929; seconduse.com) has specialized in locally salvaged building materials, from high school lockers to sconces, doors to recycled paint. The current inventory is on its website for easy browsing. Earthwise Architectural Salvage (3447 Fourth Ave. S; 206.624.4510; ewsalvage.com) owner Kurt Petrauskas is fascinated by architecture from the 1950s and later, so it shouldn’t come as a surprise that the building materials, decor items and vintage curios at this SoDo salvage yard come with a dose of history. Recent finds amongst the mantels, beams, hardware and fixtures include a Frank Lloyd Wright–style stained glass window from a 1910 South Park Craftsman and a horse and buggy from eastern Washington. Head to the Habitat for Humanity (21 S Nevada St.; 206.957.6914; habitatskc.org/store) donation-based shop for new and barely used furniture marked 50 percent off retail price. Enjoy extra discounts with weekly deals and score its best-selling building materials, such as hardwood flooring, lighting and building tools, at even better prices. Everything old is made new again at Urban Reclamations (2225 First Ave. S; 206.659.6477; urbanreclamations.com), where items such as well-crafted reclaimed wood tables reinforced with steel legs ($2,800) define the shop’s rustic modern aesthetic. The shop is known for its custom pieces, and customers who are interested can also get hands on with their creations. Aside from running the saw, owner Patrick LaMear encourages people to participate in their projects, from sanding to waxing. Green Depot (1950 Sixth Ave. S; 206.315.1974; greendepot.com) proves a green remodel can be accessible to anyone. It’s one of the city’s largest sellers of stylish and sustainable building materials, from natural cork flooring to nontoxic paints. Customer favorites include much sought-after Rais woodburning stoves (starting at $3,990). Park once (there are plenty of spaces!) and shop all day at University Village (2623 NE University Village Street #7; 206.523.0622; uvillage.com), where you’ll find all the big names in home shops as well as a few locally owned stores with a Pacific Northwest bent. For nearly 40 years, mrs. cooks (206.525.5008; mrscooks.com) has been offering the best in kitchen goods, including cookware by Le Creuset, gadgets from local company Chef’n and a whole section dedicated to cooking with kids. Spreading roots in Seattle gardens since 1997, Ravenna Gardens (206.729.7388; ravennagardens.com) is the place to go in the village for plants and the pots to put them in. Artists from the Pacific Northwest and beyond take center stage at The Art Study (206.525.2400; theartstudy.com), which does double duty as a frame shop and gallery. It’s impossible to be sad in the jonathan adler store (206.525.0930; jonathanadler.com), thanks to the cacophony of bright colors, cheeky pottery, bold furniture and lots of needlepoint pillows. Ninety percent of Room & Board’s (206.336.4676; roomandboard.com) classic and modern inventory is made in the U.S., an astounding fact for a big-name retailer. 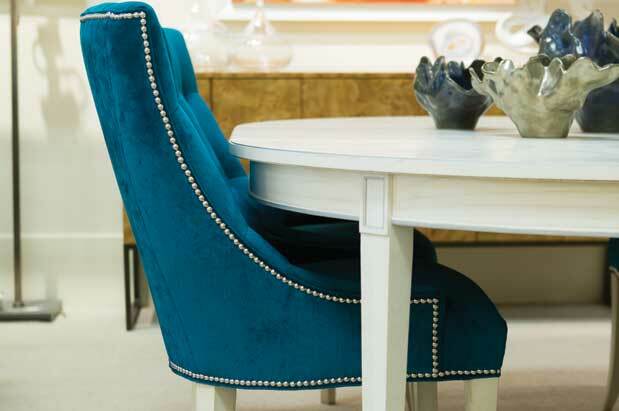 Knowledgeable and loyal sales staff can tell you the backstory on each collection. And be sure to check out its year-end sale for deals—it’s the only one it has. Other notables include: quirky kids’ furnishings shop The Land of Nod (206.527.9900; landofnod.com); culinary powerhouse Williams-Sonoma (206.523.3733; williams-sonoma.com); upmarket home emporium Crate & Barrel (206.937.9939; crateandbarrel.com); new traditional pottery barn and pottery barn kids (206.522-5560; potterybarn.com; potterybarnkids.com); boho-chic anthropologie (206.985.2101; anthropologie.com); new American classic, restoration hardware (206.522.2775; restorationhardware.com); 170-year-old purveyor of fine linens, yves delorme (206.523.8407; yvesdelorme.com); and storables (206.523.7500; storables.com), where there are organizing solutions and containers for all your newly acquired goods. Modele’s (964 Denny Way; 206.287.9942; modelesfurniture.com) sells contemporary brand-name consigned furniture in a huge warehouse shared with Asian antique shop Glenn Richards (206.287.1877; glennrichards.com) and sibling Honeychurch Antiques (206.622.1225; honeychurch.com) in a hard-to-beat trifecta of home decor shopping. We love Inform Interiors (300 Dexter Ave. N; 206.622.1608; informseattle.com) for the wide variety of daring modern home furnishings, including a huge selection of lighting, tables and seating from renegade designer Tom Dixon, and the Arne Jacobsen bentwood Series 7 chair, which is celebrating its 60th anniversary in 2015. Founded in 1860, French company Ligne Roset (112 Westlake Ave. N; 206.341.9990; ligne-roset-usa.com) is well known in the high-end furniture world for its signature Togo sofa and chairs—distinctive for their marshmallow-y, low-slung stature (from $1,325). Harold’s Lighting (1912 N 45th St., 206.633.2557; and Bellevue, 223 106th Ave. NE, 425.454.4334; haroldslighting.com) has been a local favorite since 1957. Shop from its extensive collection of fixtures, take advantage of its large shade department (have one custom made!) or rely on the shop’s team of lighting experts to repair or rewire your antique or vintage lamps. Find anything and everything for the home at Capers (4525 California Ave. SW; 206.932.0371; caperscapers.blogspot.com), including art by West Seattleites Jen Ament and Kate Endle, interchangeable lampshades from Olympia’s RD Shady, delicate glassware from Roost, party supplies, and tons of gift ideas for kids and adults. Click! Design That Fits (4540 California Ave. SW; 206.328.9252; clickdesignthatfits.com) owners John and Frances Smersh have an eye for awesome modern design. Swing by this shop for an updated bean bag chair from Fatboy (from $289), bent wire birds by local artist Shelli Markee ($120) and retro birdhouses by Five Ply Design ($80). You might not be in the market to set up a wedding registry, but if you are, may we suggest JF Henry (4445 California Ave. SW; 206.935.5150; jfhenry.com)? Two floors of retail space are stocked with fine china (including patterns from American company Pickard), silver, crystal and a whole slew of culinary essentials perfect for a new kitchen or one that needs some sprucing.